UNC Finley’s Drive, Chip and Putt Prep clinic will help junior golfer work on the three disciplines of driving, chipping and putting. This is a great way for your junior golfer to work on these disciplines leading up to a local qualifier for the D,C&P Championship. UNC Finley golf course will be hosting two local qualifiers on June 27 and 28th. Golfers of all abilities are welcome to come improve their skills with instruction and coaching by PGA Professionals. Drive, Chip and Putt-UNC Finley is again a local qualifying site; this year we’ll host two consecutive days on June 27th and 28th;registration will open February 1st https://www.drivechipandputt.com/ This is a FREE qualifier open to boys and girls 7-15 years old looking to advance through qualifiers to Augusta National in April 2020. UNC Finley’s Get Golf Ready Spring 13u Jr. Golf clinic helps junior golfers (ages 7-12) work on full swing, putting, chipping, rules and etiquette on the practice facilities as well as getting on the golf course and playing holes in a scramble format. Golfers of all abilities are welcome to come improve their skills with instruction and coaching by PGA Professionals and golf staff. UNC Finley’s Get Golf Ready Spring 17u Jr. Golf clinic helps junior golfers (ages 13-17) work on full swing, putting, chipping, rules and etiquette on the practice facilities as well as getting on the golf course and playing holes in a scramble format. Golfers of all abilities are welcome to come improve their skills with instruction and coaching by PGA Professionals and golf staff. PGA Jr. League-Under 13 division-Player registration will open on January 23rd Visit https://www.pgajrleague.com/ UNC Finley program information below. PGA Jr. League-17U division-Player registration will open on January 23rd Visit https://www.pgajrleague.com/ UNC Finley program information below. Girls and boys playing a two person 9 hole scramble broken up into three hole flags. This is NOT a program exclusively for competitive junior golfers; this is a fun, engaging, social atmosphere to play in a team setting with other girls and boys. Practices and matches here at UNC Finley and potentially other area clubs depending on participation. Practices and matches will be led by PGA Members, Associates and golf staff. Parents/spectators will receive one complimentary golf cart to follow along and cheer on their junior golfer during matches, food and beverage is available for purchase on site during matches. During play of a hole the player will need to carry or use a push cart to take care of their clubs; there are no caddies in PGA Jr. league golf. Parents are allowed to give rides in carts in between holes played, but not during a hole. Registration fee of $350 is inclusive of all matches, practices, UNC Finley Jr. League ID card, PGA Jr. league shirts and other goodies and items above. April 6th Kickoff event for players and parents 11:00am-1:00pm. Players can attend as many matches, practices as possible, but not required to attend all events to be on the team. Chapel Hill POD season ending event July 13th at Wildwood Green in Raleigh. Season ending fun scrimmage event July 20th at Prestonwood CC in Cary. Potential all-star selection at the end of the regular season for 13U division only. First Tee clinic (Afternoon clinics on Monday, Wednesday and Thursday’s) Visit http://www.thefirstteetriangle.org/ for detailed information. UNC Finley’s Get Golf Ready Adult Spring Clinic helps adult golfers work on full swing, putting, chipping, rules and etiquette on the practice facilities as well as getting on the golf course and playing holes in a scramble format. Adult golfers of all abilities are welcome to come improve their skills with instruction and coaching by PGA Professionals. 5:15pm clinic begins with time spent on practice facilities and we will transition to the golf course for time as well with the clinic ending at 6:45pm weekly. 9 Hole Greens Fee Players Card-Only time for 9? UNC Finley has begun offering a 9 hole greens fee players card for only $300; this allows the person purchasing the card to play (10) 9 hole rounds any time Monday-Thursday and Friday-Sunday after 1:30. Cards may be purchased in the golf shop and rounds do not expire. 9 hole tee times can be made by phone or in person in the golf shop. 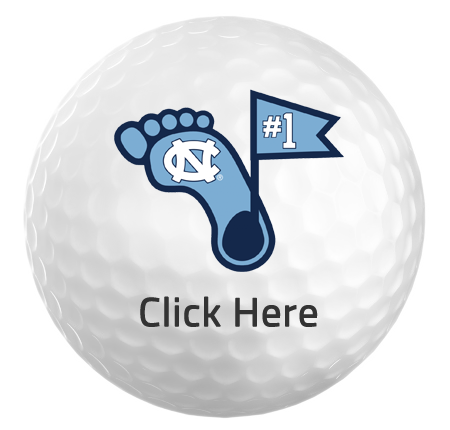 UNC Faculty/Staff Golf League-Faculty/Staff member or spouse of are invited to take part in a weekly 9 hole golf clinic to enjoy a weekly round of golf and compete for prizes in a fun and social setting. The league will run every Tuesday from March 12th through June 30th with tee times beginning in the 4pm-5pm range depending on number of players and time of season. For detailed information or to sign up for the league contact PGA Head Golf Professional-Frank Maynard III frankmaynard@unc.edu.